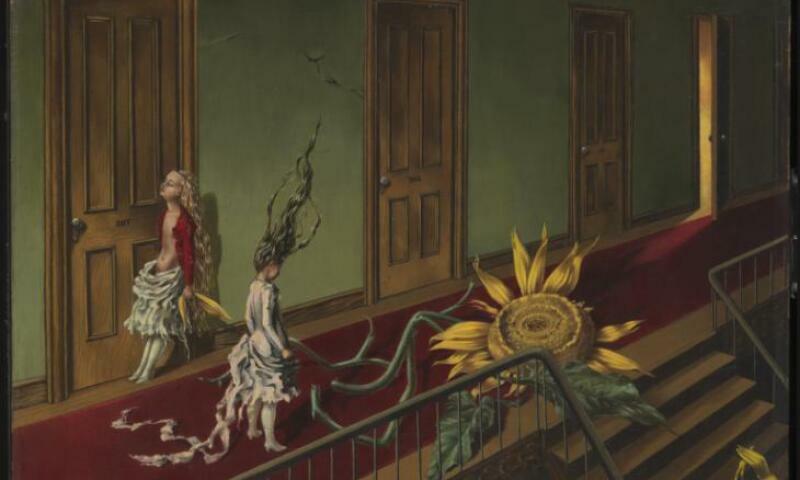 Dorothea Tanning, Eine Kleine Nachtmusik, 1943. From the 1950s, now working in Paris, Tanning’s paintings became more abstract, and in the 1960s she started making uncanny soft sculptures. Many of these works – including the room-sized installation Hôtel du Pavot, Chambre 202 – feature bodies: contorted, transformed and intertwined, they connect with her lifelong interest in dance. In later life, Tanning dedicated more of her time to writing, publishing poetry and a novel while in her 80s.